Located below the Naica Mine, the cave produces jaw-dropping crystals that dwarf humans who enter the area. Containing selenite—gypsum—crystals measuring up to 39 feet (12 meters) in length, the cave is a relatively hostile environment—without proper protection, people would only survive about 10 minutes inside. And with temperatures reaching up to 136 degrees Fahrenheit (59 degrees Celsius) and humidity over 90%, the same environmental factors that make the crystals thrive, also make the Cave of Crystals an unfriendly home for humans. The crystals were formed by hydrothermal fluids emanating from the magma chambers below. The cavern was discovered while the miners were drilling through the Naica fault, which they were worried would flood the mine. 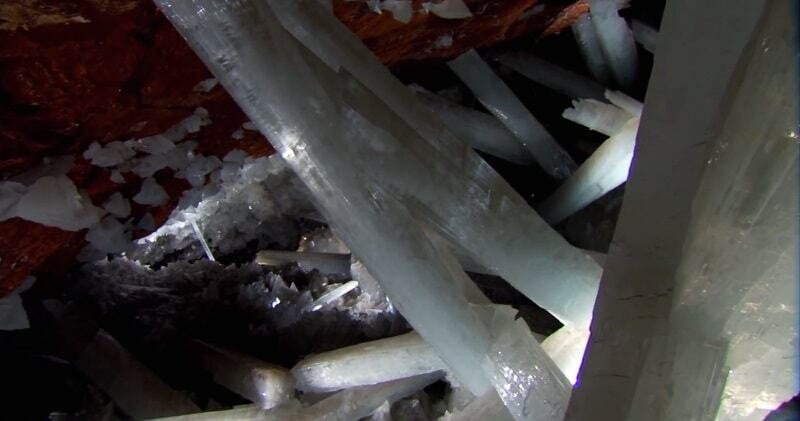 The Cave of Swords is another chamber in the Naica Mine, containing similar large crystals. 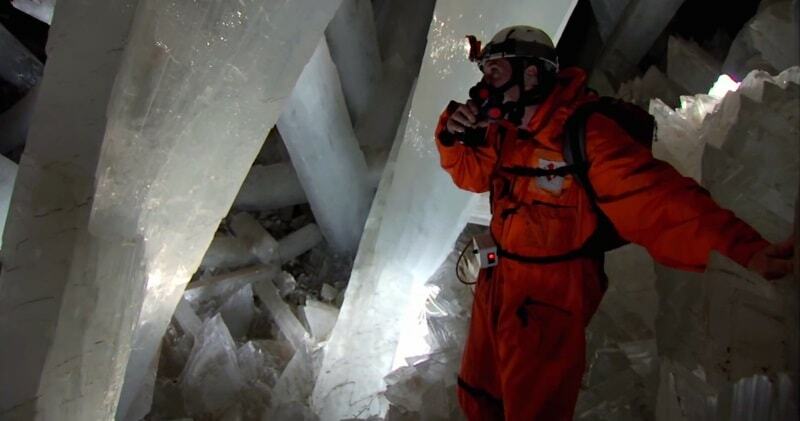 Scientists and researchers have been actively working in the Cave of Crystals since 2001, and continued to do so until its confirmed flooding in 2017. Using uranium dating, scientists were able to determine that the crystals were 500,000 years old.